Nice and elegant tunic from KAFFE. The tunic has long sleeves, a regular fit and a v-neckline. The tunic has a length above the knee and is incredibly comfortable to wear. The tunic shirt also has many cool style options. Style the tunic with a waist belt. 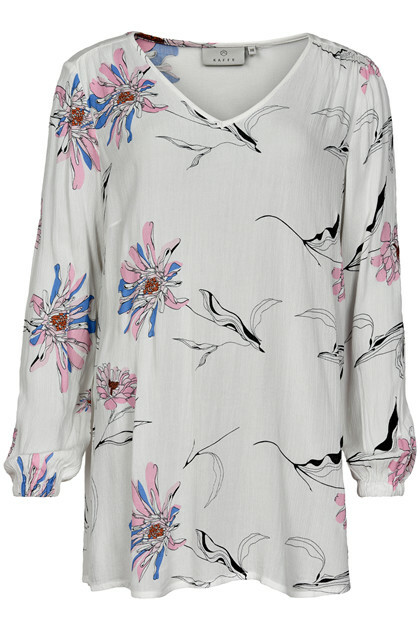 Certainly, a beautiful tunic that undoubtedly can be used for both everyday use and party occasions.